I am seeking advise on how best to proceed. 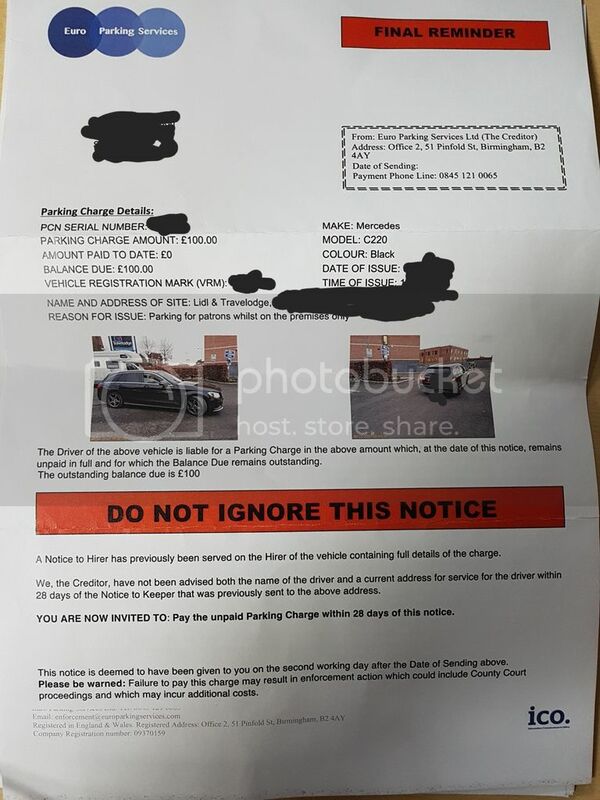 I have received a final reminder for payment of a parking charge for Euro Parking Services (EPS) however this is the first communication I have had from them. I am the registered hirer of the vehicle and have not responded yet. The final reminder letter does not state the date of the incident however they show pictures of the vehicle manoeuvring & leaving the car park these were taken by a car park attendant working for EPS as the driver remembered the incident. The driver of the vehicle at the time honestly parked in the car park, went to a cash machine and then entered the Lidl store to purchase some milk. On returning to the car the driver was approached by an EPS employee saying as they left the premises they would receive a PCN in the post. The driver of the vehicle stating they were a customer and showed the attendant the receipt got in the car and drove off. the pictures on the letter show the vehicle and driver driving off. The time stamps on the pictures are shown 8secs apart. The driver has given me the receipt from that day however the time stamps on the pictures show the vehicle leaving 3 minutes before the receipt was issued. I have contacted Lidl who's response is the usual, we are not the land owner it is between you and the Car park company. EPS have also claimed that the 21 day period has now lapsed for an appeal but mention exceptional circumstances for appealing outside the 21days. I have contacted the lease company who confirmed they received the notice to keeper on the 20th of December 17 , 20days (should be 14 days under POFA) after the incident and only gave my details as the hirer to EPS on the 27th. I received the final reminder ( My 1st communication) on the 17th Jan. exactly 21days after EPS got my details from the Lease company. I have also asked the Lease company to see if they can give me any evidence of what they actually sent to EPS as this would allow me to use the POFA route. As it's a lease car you should have received with the Notice to keeper/hirer of your own copies of the lease agreement and the original Notice to Keeper that was sent to the hire company. I would be surprised if this was the case. If you read POFA paragraphs 13 and 14 you will see that they have extra time to get the notice to the hirer. It should still be just 14 days to the registered keeper though. Photobucket hosting of pictures does not work well anymore since photobucket got greedy with the charges and adverts. The problem, I think, is I never received the Notice to Hirer, but they claim that they have served one on me. So do I ask them to resend? Do I ask for proof of postage? How can I now prove they have not complied with The Hire vehicles section of POFA 2012 Sch4 if I don't know what they sent? As mentioned I have contacted the lease company to see if they can provide me with exactly what they gave to them. If I can get the evidence from the lease company that they didn't send Para 13 (2) a, b, c etc I can wait the required time and go with the POFA. I have successfully used the POFA before but I've never come across something like this where they claim to have sent the Notice but I never received it. Is there a requirement for them to be able to prove postage? I will find another platform and try to repost the pic. Try not to prod the lease company, you appear to have all the information you need. If the letter you received was 21 days after the hire company sent off you details to Excel then is within that time limit. You have another 21 days to respond so that letter you received that was addresses to you, was on time and you would not normally be getting a reminder before the 21 days you have to respond is up. I would take that letter, despite it being labelled as a reminder, as your letter to hirer/keeper. It is a reminder that a charge is allegedly due. Was the letter addressed to you and not the hire company, did it also include copies of your hire agreement and the original PCN to the hire company ? If not then they have not complioed with POFA and hence a BOGOFF letter pointing this out. Don't contact Excel by phone, not recommended. Here's a link to POFA for you. Ostell - NOT excel, its EPS. Just a simple bogoff is needed. To EPS, you have not complied with Para 14 of Schedule 4 of POFA2012 and as such I, as hirer, am not liable for the charge. You must contact the driver, who I am under no obligation to name, or cancel the charge. What you must not do is continue to pursue me for this charge as you will be in breach of your KADOE contract with the DVLA if you do so. The reminder letter was addressed to me. So if I take it as the notice to Hirer they have definetly failed miserable on POFA as I received nothing else with it. They have dated the rejection letter the 7th Feb with an offer to use the IAS non standard appeals service, however I also have just recieved a letter before action dated the 8th Feb.
Do not appeal to the IAS, its a kangaroo court run by Gladstones and they will use the info in a court claim. The LBA will be deficient so get looking for the correct response and prepare for a court claim. Do the courts look unfavourably if you refuse do take up an offer of Alternative dispute resulotion. Are the IAS that offer All be it a "kangaroo court"?. Is it really a Letter before Action? There was a change to the Pre Action Protocols, effective October last year, which requires them to give you 30 days to respond and also include additional paperwork. Of course they can pass your details to Gladstones as this is permitted and not against the DPA. Thread now merged... thanks and apologies. I don't think we are at the court stage yet. The headline letter states "Letter before Court Action" is that not different to a "letter before Claim" which requires the 30days to respond? I am confused now... I thought a letter before Action should be a formal letter which requires acknoweledgment within 14 days and a response within 30 days. No other paperwork was included so for me it is not a letter before claim. I will respond asking for all the documents they intend to use? It used to be 14 days to respond and that was increase to 30 last October. There is a template letter around to complain about their non compliance with PaP. Post up that letter, sitably redacted of course, for everyone to see. Ok thanks for that. If that's the case they still haven't offered an ADR yet. Redivi, is there anywhere is actually states that I have to be the driver, I have looked at their website and it's not obvious.  © unreasonably refused to use a form of ADR, or failed to respond at all to an invitation to do so. -	The Claimant has failed to comply with requirements of the Protection of Freedoms Act 2012 Schedule 4 Paragraphs 13 & 14 to hold the Hirer of the Vehicle liable. -	The Claimant has failed to provide me any evidence that the above vehicle was parked in the car park referenced. Because of the above I decline to include confirmation as to who was driving as I have no legal obligation to do so. I now require you to send to me any documents you wish to use in proceeding with this case including proof of postage for any documents claimed to have been sent to me. I would refer you to the Practice Direction for Pre-Action Conduct under the Civil Procedure Rules Paragraph 14 (a). I require these documents, to understand Euro Parking Services Limited’s claim to amount mentioned in the Letter Before Court Action, I would refer you to Paragraph 3 the above Pre-Action Conduct. For a NTK to hirer it is only paragraph 14 that is relevant. You also add that you have no legal requirement to name the driver and you will not be. A Letter before Action requires that they give you 30 days to respond. Are you sure it's a letter before claim and not just asking you to pay within 14 days? I've seen another one today that the OP said was a Letter before claim but it just had the words that the client may raise a claim and then gave all the frightening paragraphs about bailiffs, CCJs and credit difficulties. It gave the impression of being merely a debt collectors letter, which is ignored. Post up that letter, suitably redacted, for all to see and comment. The keywords are "unreasonably refused"
I decline to identify the driver and I have no legal obligation to do so. Now I have signed up to imageshack here is the first communication I received from them. It's not strictly Letter Before Claim but I would write back to them just in case. I note that you are asking for a response within 14 days when the current Pre Action Protocol for Debt requires at least 30 days. I cannot find paragraphs 13 - 16 that you have referenced, the last paragraph in the current protocol is numbered 8.2. Would you please submit a Letter before Court Action that conforms to the current requirements. With this letter I require a copy of all the documents that you will be using to show that the alleged debt actually exists. I note in your rejection of my appeal dated 7th February that you have singularly ignored my statements about the fact that you have failed to comply with the requirements of Schedule 4 of the Protection of Freedoms Act 2012, in particular, but not limited to, Paragraphs 14 (2) (a) and as such I cannot be held liable as the Keeper/Hirer for the actions of the driver at the time. As you have already been told there is no legal requirement to name the driver at the time and I would not be doing so. The driver has confirmed to me that there was no breach of your conditions and has in his possession a receipt from a store on site, timed a few minutes after the time stamp on your photos. I will not be appealing to your "Independent" Appeals Service as this is run under the auspices of your trade association, which in itself is controlled by the same people who control your solicitors, Gladstones, despite the attempts at Companies House to obfuscate these "minor" details. * The Notice to Keeper to the hire company. * The Notice to Hirer to myself. * A copy of the contract you hold with the landholder showing your rights to act. A witness statement saying that a contract exists will be insufficient. * A map that was available on site showing the limits of the site. * The statement from your operative about the alleged breach. I await your response and a properly formatted letter before claim. POFA paragraph 13 is about the actions between the parking company and the hire company. You cannot possibly be privy to what happened between them.